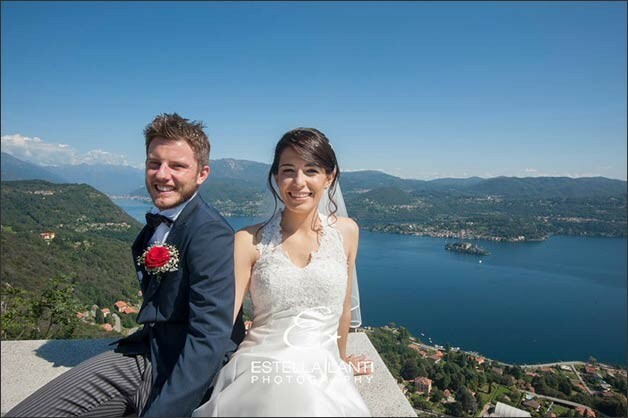 wedding to share between Lake Orta and Lake Maggiore to pick their beauty their scenarios. 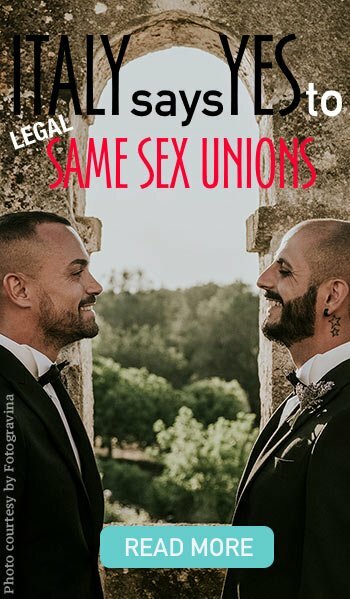 Isn’t it a great idea? 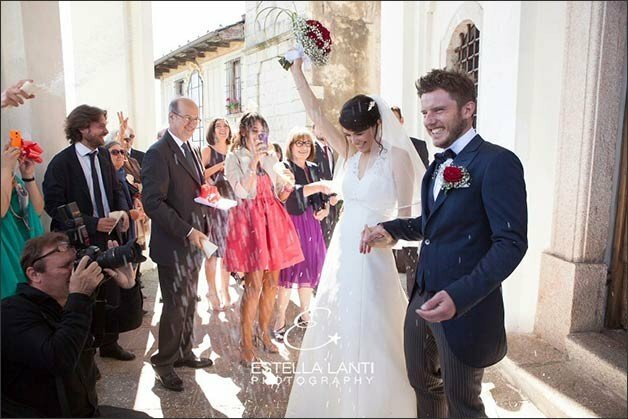 For their wedding ceremony Laura and Gabriele – a wonderful Italian couple – chose one of the most beautiful Italian churches: Madonna del Sasso church. 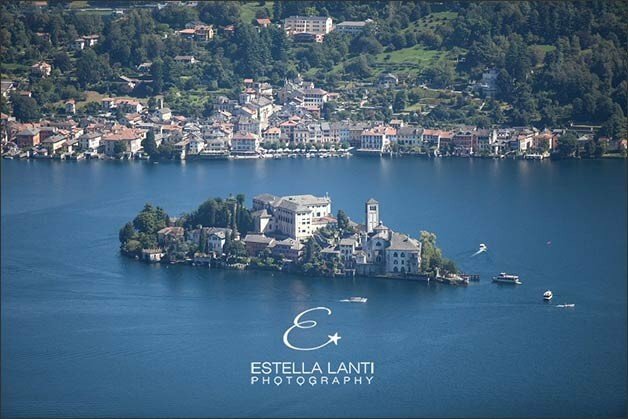 The church has a stunning breathtaking view over all Lake Orta and on clear days you can even look up to Milan and Ligurian Apennines mountains. 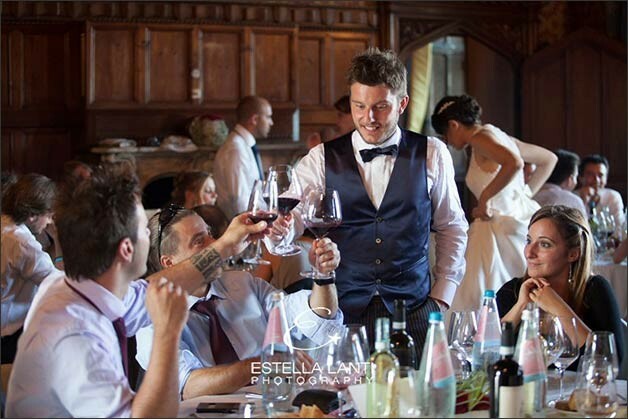 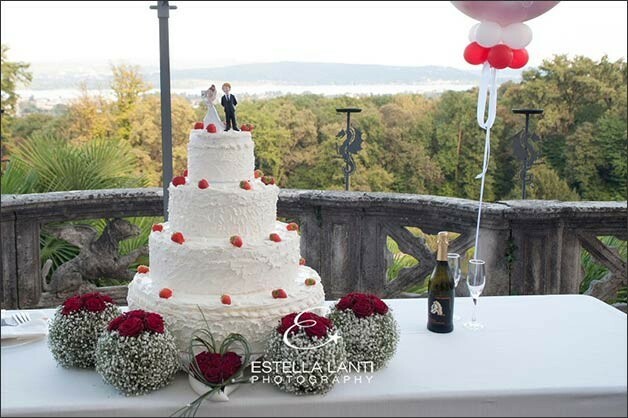 For their wedding reception they chose a fantastic castle on Lake Maggiore just few kilometers from Madonna del Sasso church. 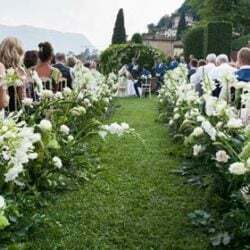 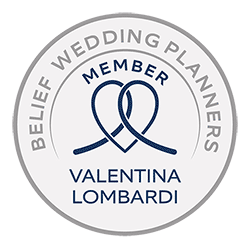 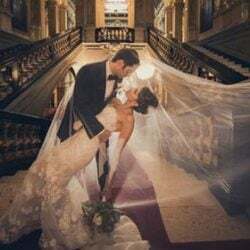 Even if Lake Maggiore and Lake Orta have very different scenarios, being so close they are able to offer to brides and grooms the possibility to plan their wedding religious ceremony and wedding reception on both lakes. 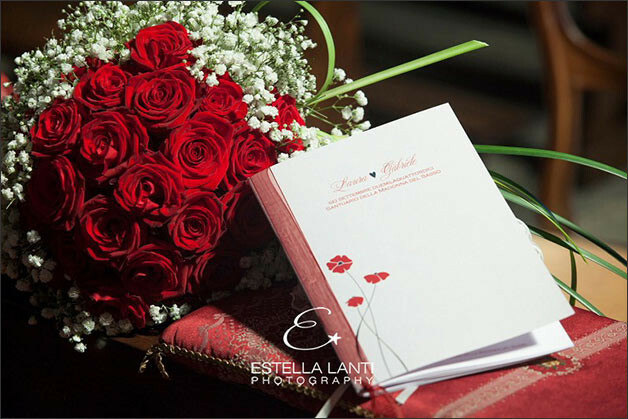 This gives the bride and groom a big range of possibilities and venues to chose. 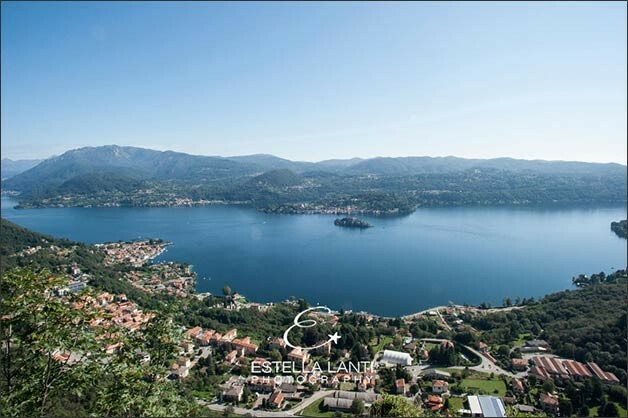 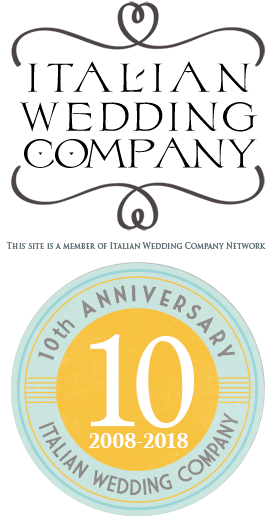 It is one of our win-win factor of this part of Italian Lakes District. 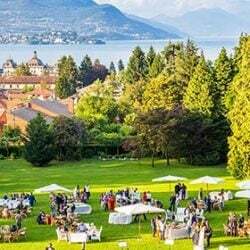 This area is located on Northern part of Piemonte region and it is very easy to reach from Torino and Milan and most of all from Malpensa airport – no more than 40-45 minute drive! 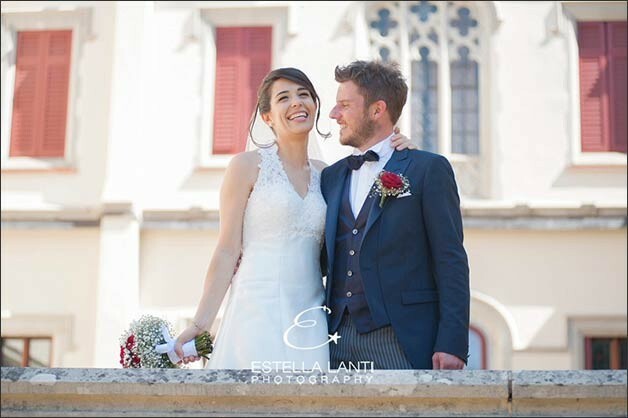 For their wedding photos Laura and Gabriele chose wonderful and skilled Estella Lanti that met through our Italian blog Lago Maggiore Sposi. 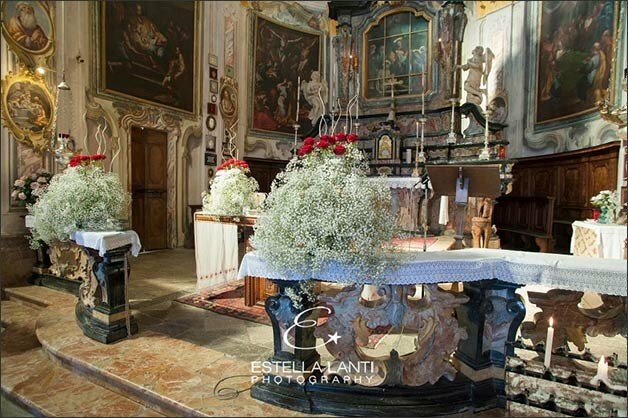 For their floral arrangements – bridal bouquet, church arrangements inside Church of Madonna del Sasso and their table centrepieces at the castle – they chose La Piccola Selva Floral Designer a team of professionals with more than 20 years of experience on wedding flowers arrangements on Lake Orta and Lake Maggiore. 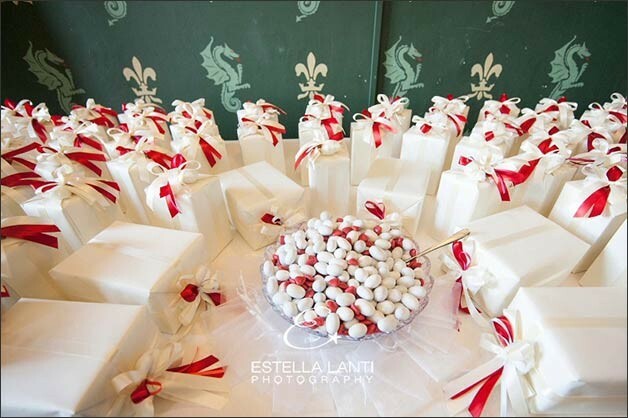 Red and white was the theme Laura chose for her wedding. 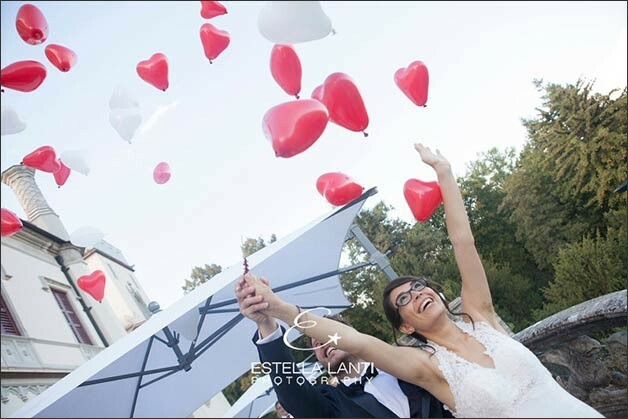 They were incorporated on flowers, wedding favours, table plan, ribbons, balloons to release in the sky during the party. 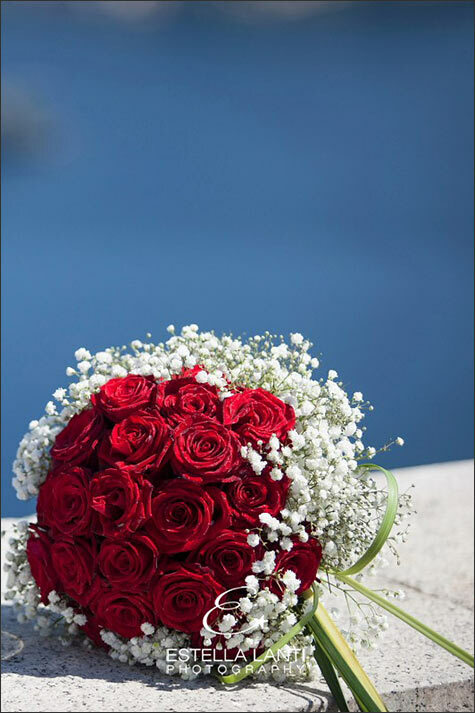 Red and white is a classical choice that come back on fashion recently! 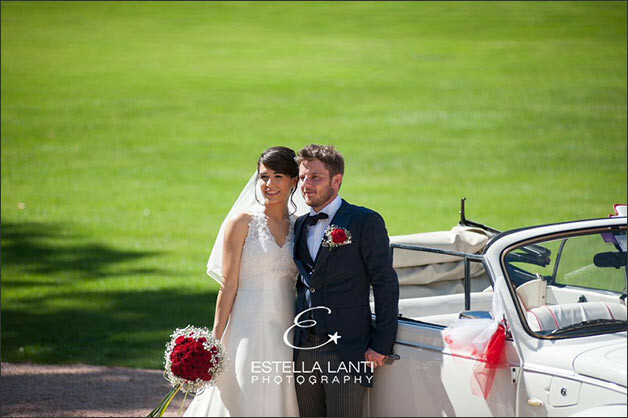 A wonderful sunny day for Laura and Gabriele’s big day! 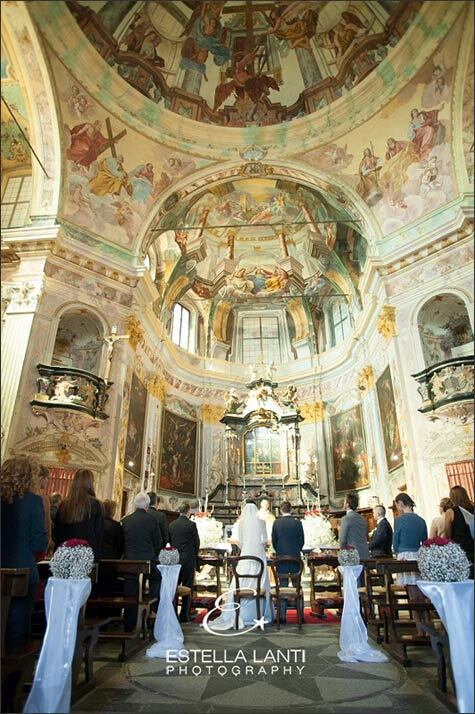 They chose such a perfect day to get married in a church with such a great view. 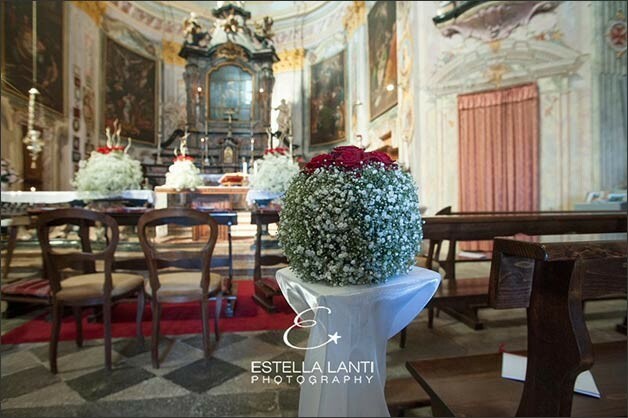 Inside the church La Piccola Selva Floral Designer and her head florist Paola, arranged original baby’s breath balls and red roses on the columns covered with white silk. 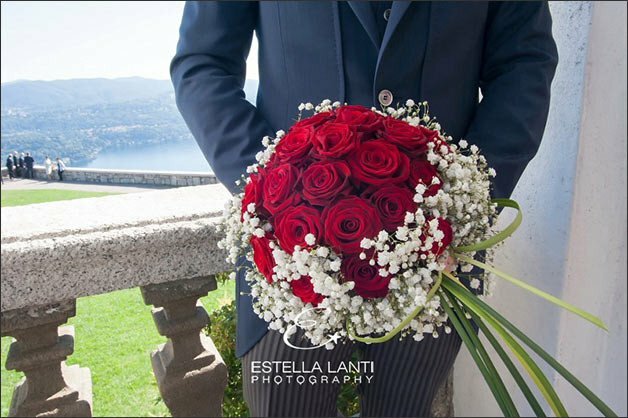 Bridal bouquet matched the style with red roses on white gypsophila (baby’s breath). 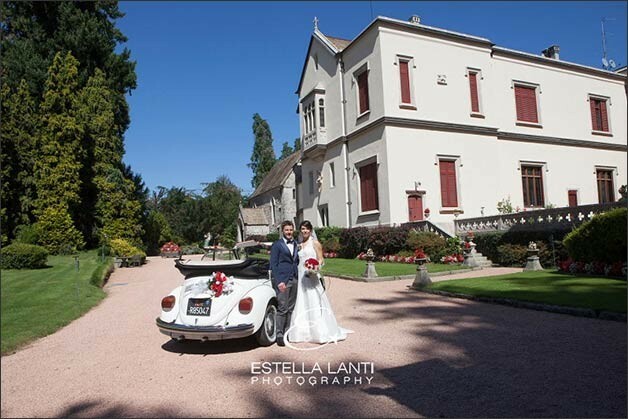 Laura arrived at Madonna del Sasso church on a wonderful white convertible Volkswagen Beetle. 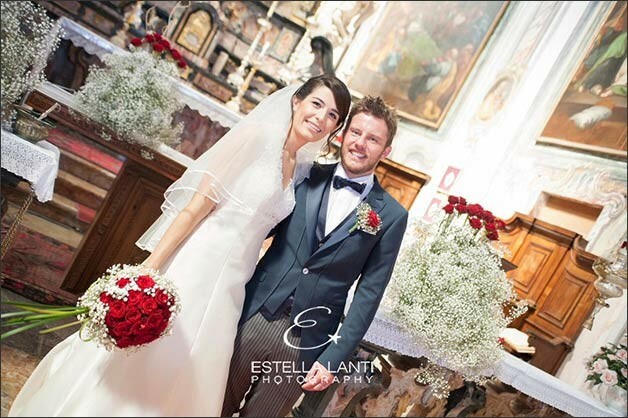 Gabriele was waiting for her at the entrance of the church – as local tradition wants – to give her bridal bouquet. 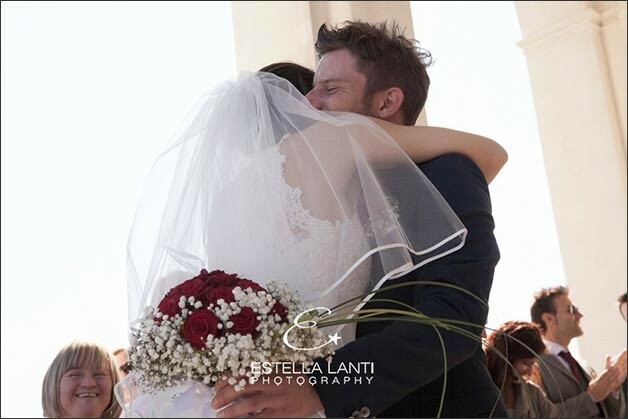 Such a touching moment! 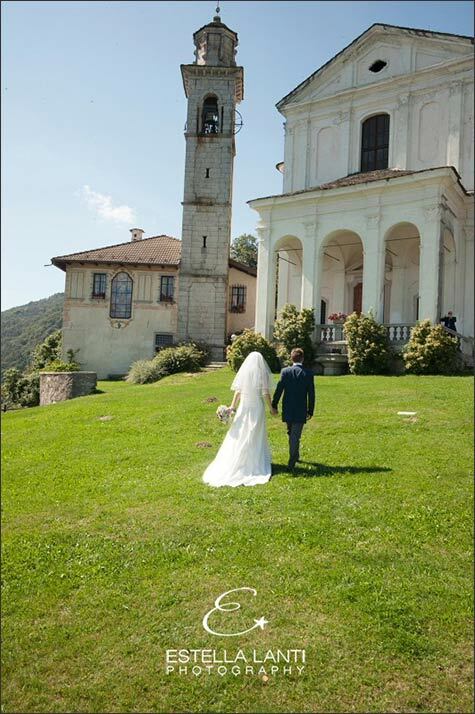 After the ceremony some fantastic wedding photos overlooking spectacular view over Lake Orta… it was enhanced by the clear sunny summer day! 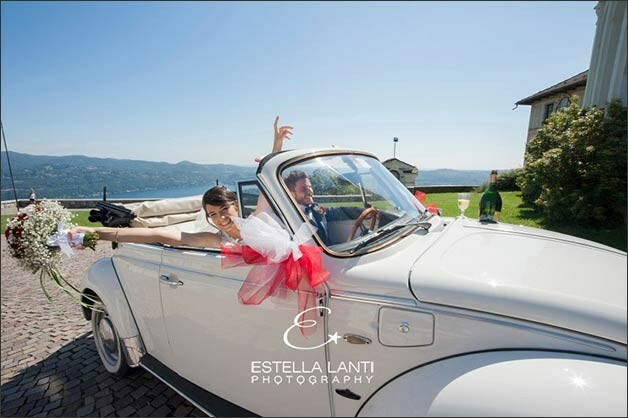 On a white convertible Volkswagen Beetle Gabriele drove bride and groom reached the castle on Lake Maggiore. 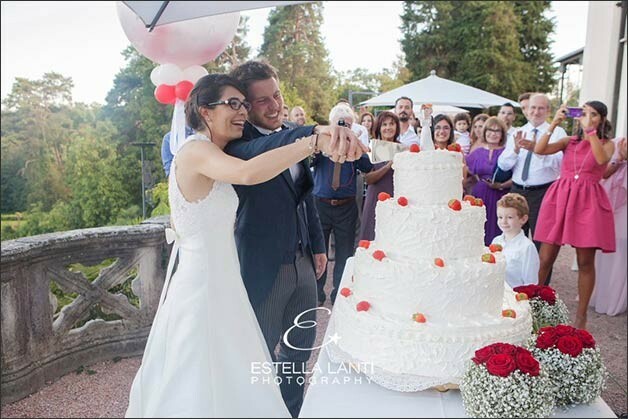 All their guests were waiting for them to celebrate their big day! 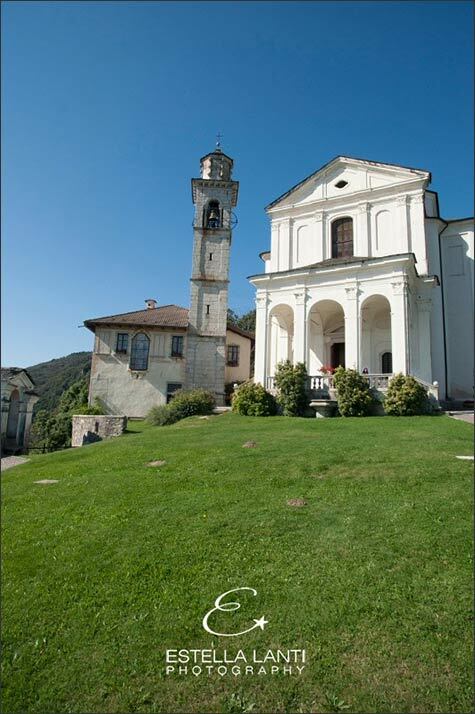 The castle offer a fantastic view over Southern area of Lake Maggiore just in front of Rocca di Angera. 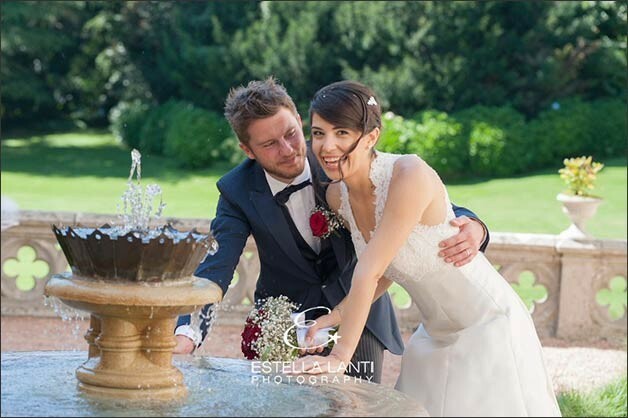 It has a wonderful English garden and elegant vintage rooms where wedding reception can be set. 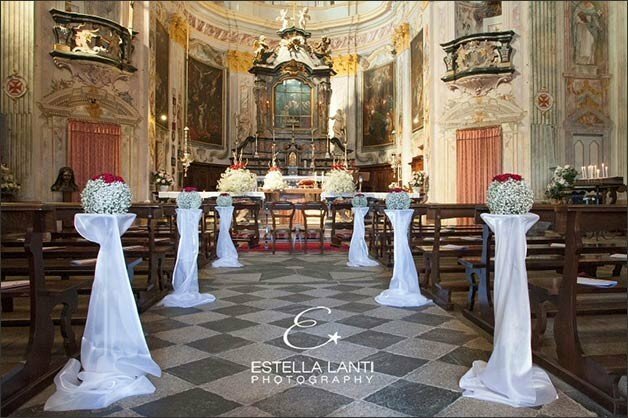 Estella Lanti took great photos of the venues! 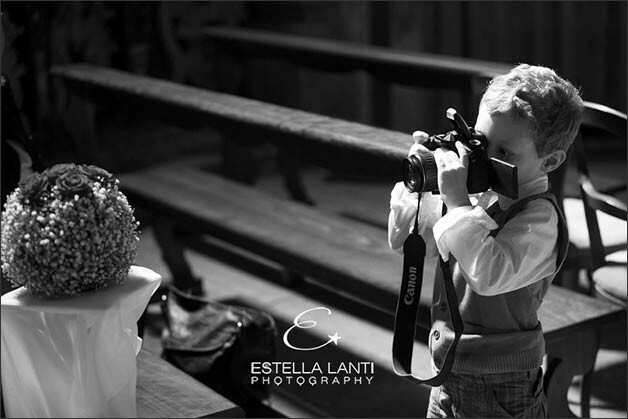 She is very talented! 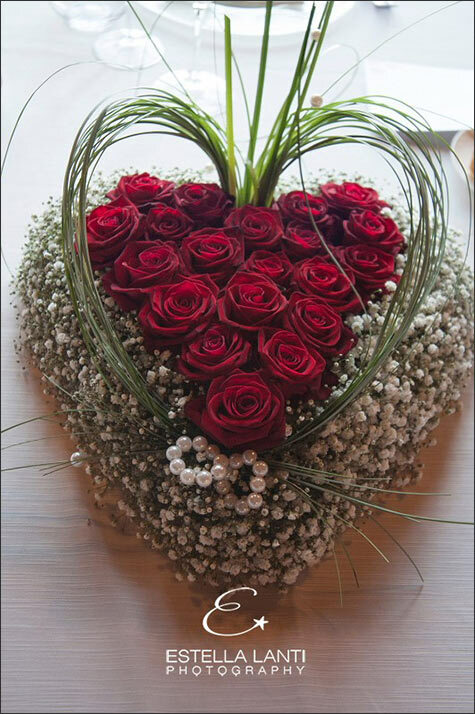 For their centrepieces Paola from La Piccola Selva created romantic heart shaped compositions with red roses and baby’s breath matching church decorations and bridal bouquet. 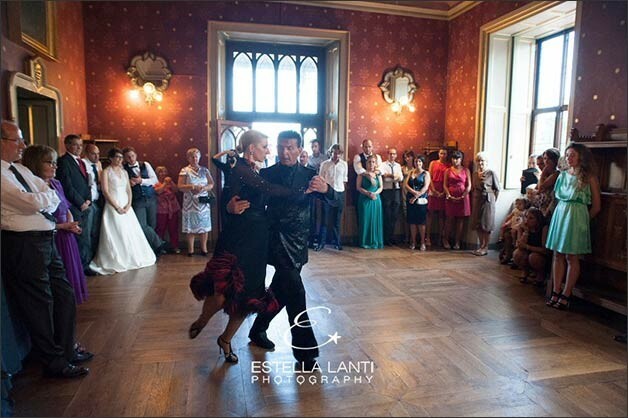 After the cutting of the cake on the panoramic terrace of the castle, party went on inside the rooms with a fantastic Argentinian tango exhibition. 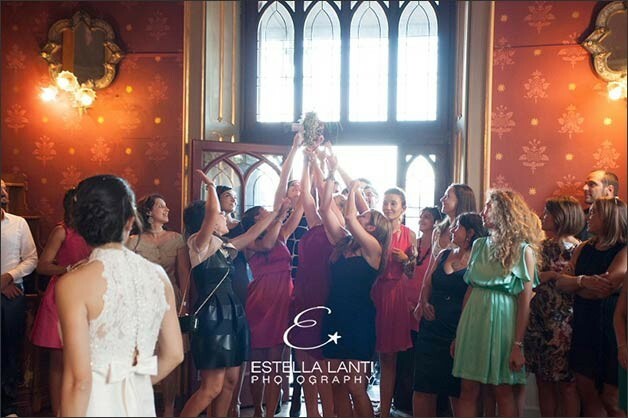 Last but not least the bridal bouquet throwing! 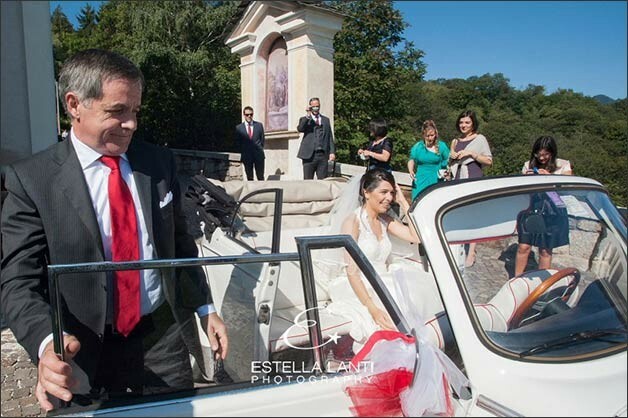 What a day! 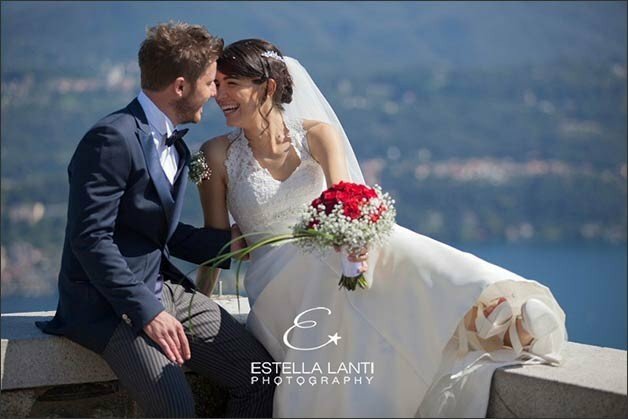 A very special thanks to Estella Lanti for these fantastic photos and thanks to Laura and Gabriele for sharing their special day on Lake Orta and Lake Maggiore with us.